This is to inform all the candidates that applied for admission into the evening programmes (both ND and HND) of the Federal Polytechnic, Bida (BIDAPOLY), Directorate of Continuing Education (DCE), for the 2018/2019 academic session that they can now check their admission status. 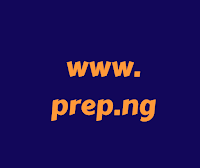 Check Federal Poly Bida DCE Admission List. 2010-2018 JAMB/UTME ECONOMICS PAST QUESTIONS.